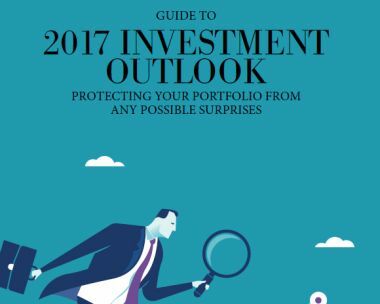 Looking ahead to this year, gradual repair of the global economy and greater political clarity in the USA should allow investors to take advantage of opportunities in 2017. However, political events could again trigger further turbulence this year, but central banks will probably continue to suppress market risk. In such an environment, market corrections can offer opportunities for appropriate investors. Investors will remain concerned with world tension – current tension in the Middle East, including Syria, has the capacity to rapidly escalate and cause significant volatility in financial markets. In addition, China is increasingly having an impact on markets, and any further slowdown there could certainly be negative this year.